Malte Bartsch caught our attention because of the inclusive, interactive and social components to his practice. A student of Ólafur Eliasson, Bartsch became a name in Berlin last year with his piece, FEUERWERKAUTOMAT — an intervention at this year’s German reunification celebrations. 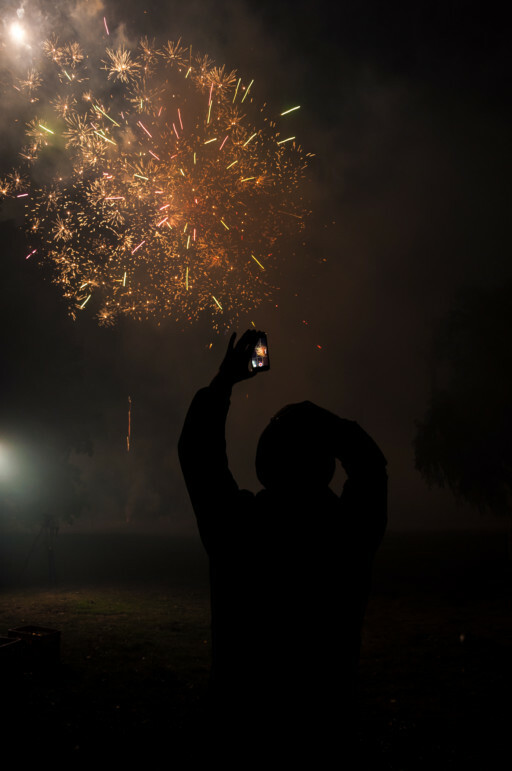 Designed as an app where members of the public could purchase fireworks and create a display based on democratic polls, FEUERWERKAUTOMAT indicated the unpredictable nature of the voting process. 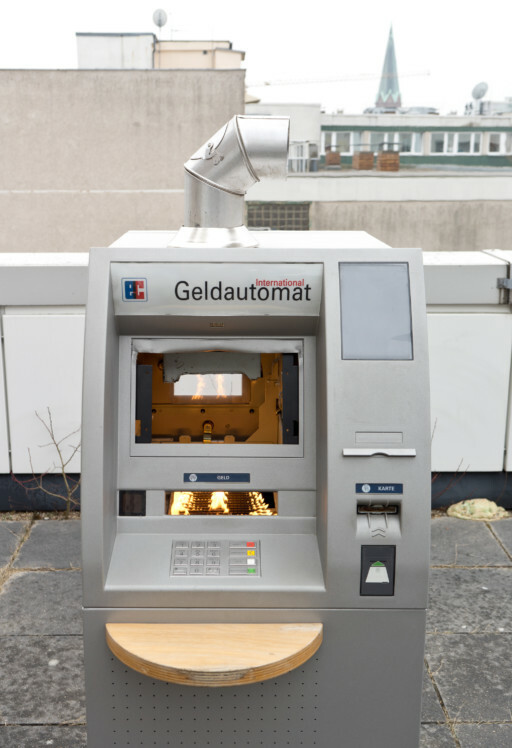 In September at the Biesenthal, the multidisciplinary artist exhibited an old ATM reconfigured as a wood burning stove. Audiences were encouraged to burn their money, if they so wished. Blinder Beifall, 2016. Courtesy of Jeewi Lee. Originally from Seoul, Jeewi Lee has been based in Berlin since 2008. By using natural materials such as salt and rock, Jeewi investigates the trace left by human activity, reimagining it as a luminescent stamp. 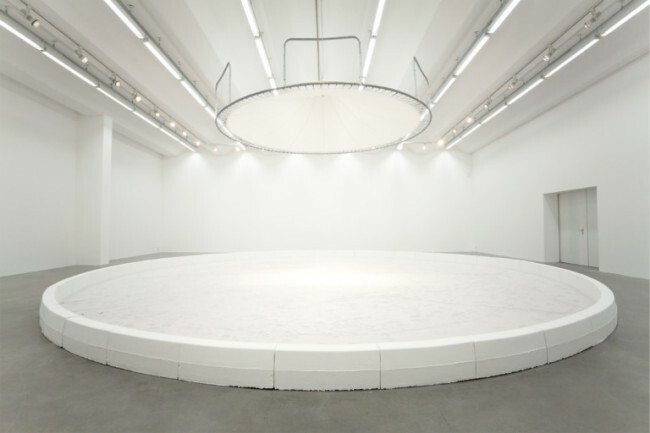 Her most arresting piece, Blinder Beifall (2016), consists of a circus ring composed of salt instead of sand, flanked with large white kerbstones. Jeewi then invited a variety of entertainers to perform in the salt — the final art work was the marks left in the substance.